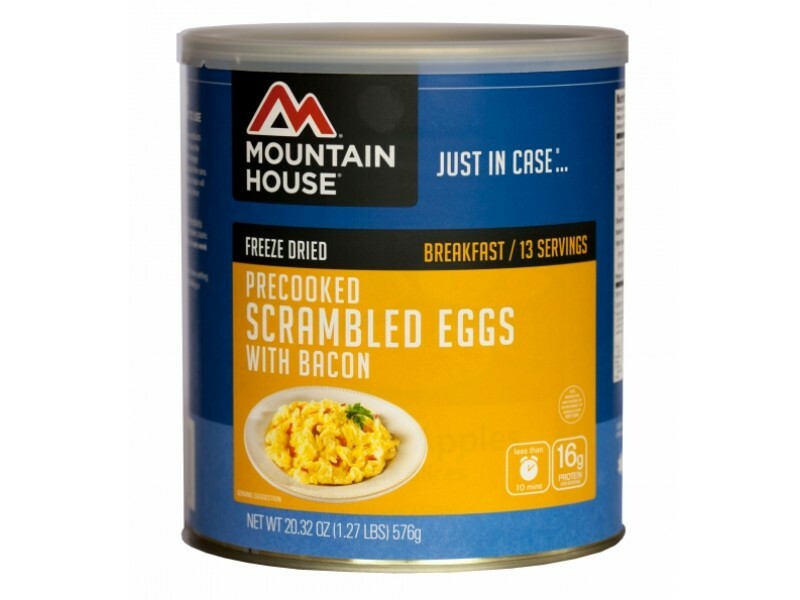 Mountain House #10 can of eggs with bacon is a great tasting, long lasting food that virtually everyone will love. 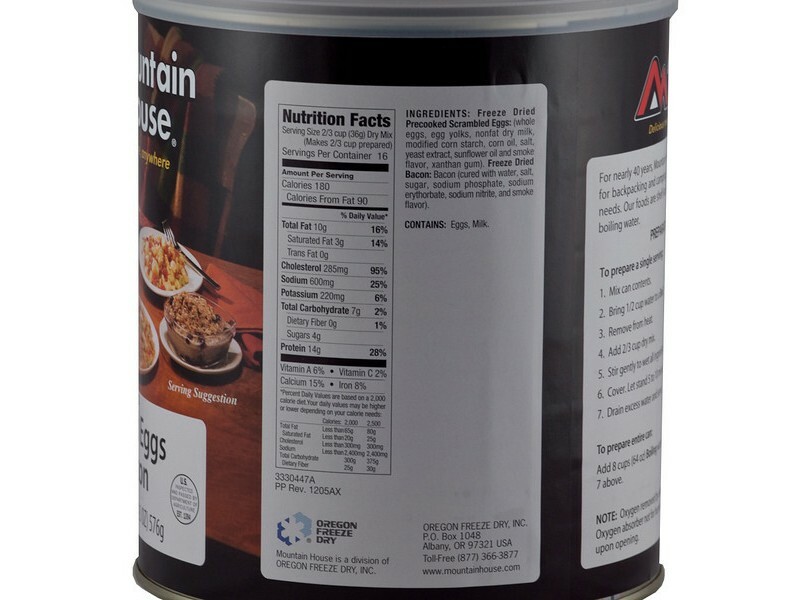 Bacon & eggs is one of the most popular, and loved, breakfast meals today, and with this great product, you’ll be able to enjoy it no matter what happens in the future. In addition to tasting great, and lasting for 25+ years, these eggs are packed with 14 grams of protein per serving, making them a healthy choice for your breakfast. 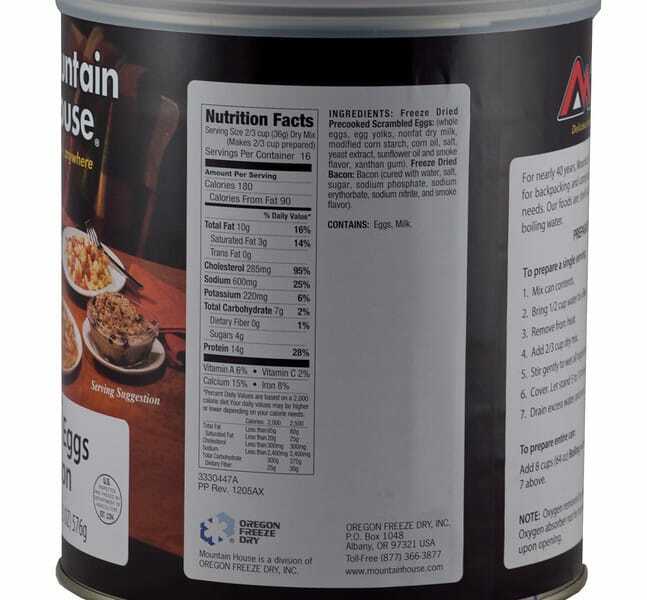 Eggs with bacon from Mountain House is a great addition to your food storage program. You’ll love the way they taste, of course, but also the fact that they last so long on the shelf. The #10 size cans hold a lot of food, and also store away very conveniently. You can stack them up in your pantry or other storage area, so they will be there when you need them. Whether you only plan on enjoying them in the event of an emergency, or you just like eating them as a regular meal every once in a while, you’ll be glad you have them. Each can has 16 servings, which makes this a perfect product for people with a family. The cans will last on the shelf, unopened, for 25+ years without a problem. When you open the can, you can make as much or as little of the eggs as you would like. 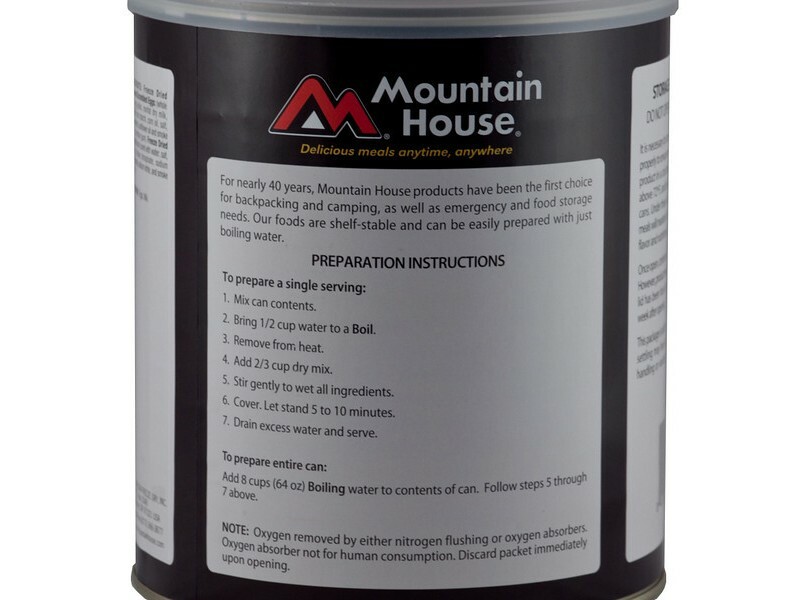 Once the can is opened, the remaining amount will still last for several days, or even weeks if refrigerated. This will help avoid any waste, and still allow for the eggs to be eaten whenever they sound good. 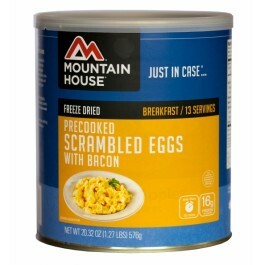 When you have this #10 can of eggs with bacon from Mountain House, you’ll always know that you’ve got enough food for you and your family for quite some time. 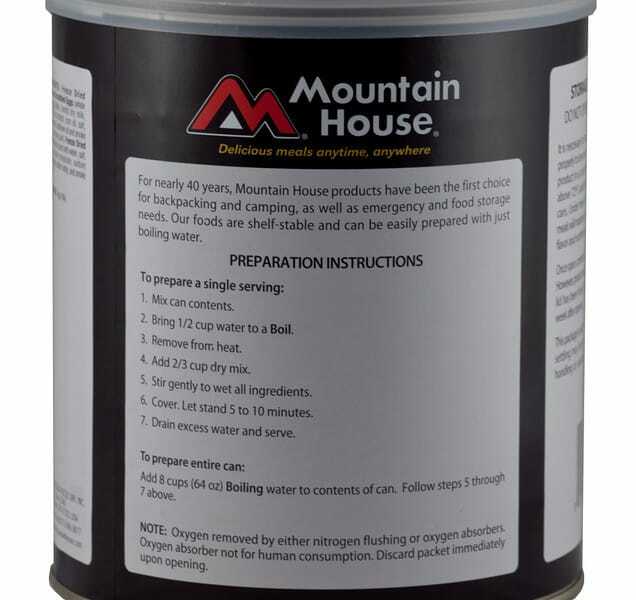 Whether you are using this to get your food storage program started, or you are trying to expand it, this is an excellent purchase for anyone. One can contains 16 2/3 cup servings.